The Midlands is full of surprises, secrets lurk in unexpected places and hidden treasures are uncovered by those with a keen eye for the unusual. 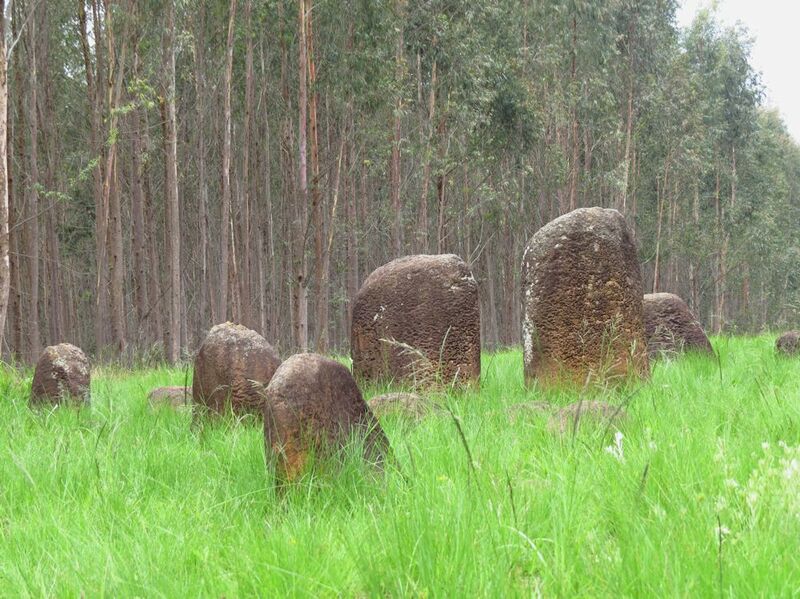 The Standing Stones of Karkloof are a perfect example. 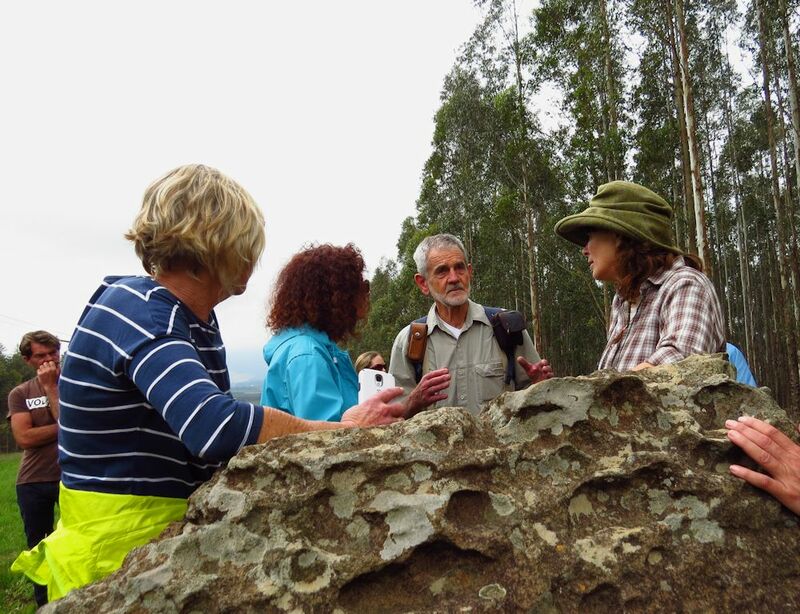 Karkloof residents have begun mapping areas of important natural and cultural heritage. 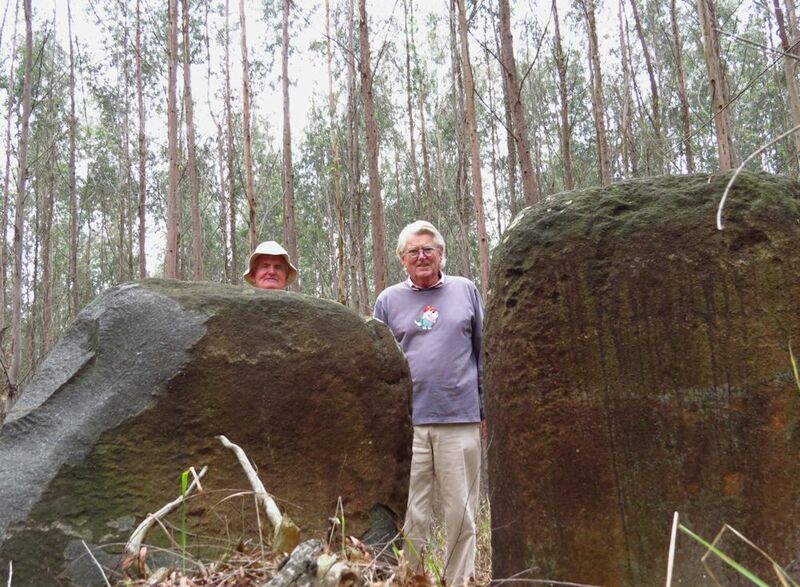 One of these is the intriguing Standing Stones site, discovered by Max Ramseier, a retired engineer. Traipsing along the cycle tracks in the plantation, one does not expect to find anything exceptional. American bramble covers the ground, Plane trees are popping up everywhere and cannas invade the wetland areas – uninspiring to say the least. 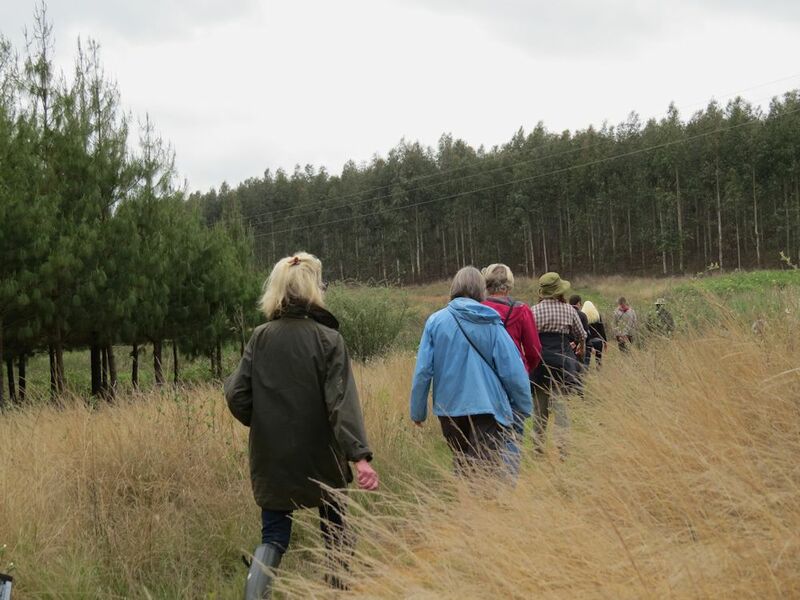 As part of their NEBRAC campaign to ensure that the proposed N3 bypass of the notorious Townhill, does not come through their valley, Karkloof residents have begun mapping areas of important natural and cultural heritage. 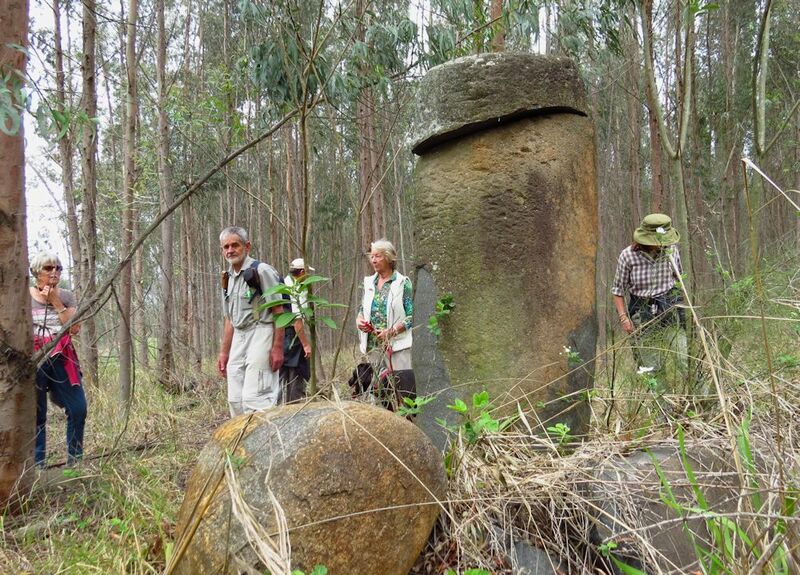 One of these is the intriguing Standing Stones site, discovered by Max Ramseier, a retired engineer. Traipsing along the cycle tracks in the plantation, one does not expect to find anything exceptional. American bramble covers the ground, Plane trees are popping up everywhere and cannas invade the wetland areas – uninspiring to say the least. 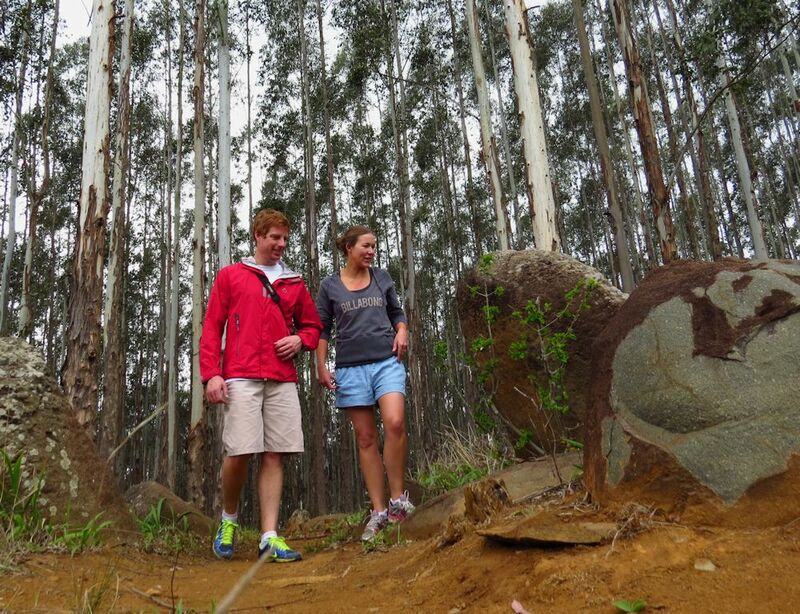 Anita Turvey of the Karkloof Country Club spices things up by mentioning that there is a grumpy old Buffalo on the roam and if we spot him we ABSOLUTELY MUST NOT RUN! An area of natural grassland used as a fire break between the trees, reveals a selection of spring flowers to lift the spirits. 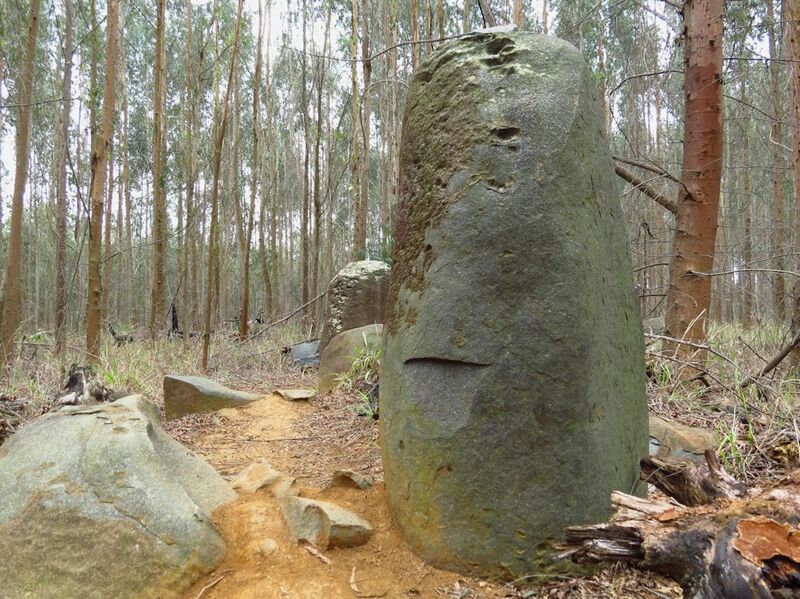 Then, at the crest of the hill, scattered across the fire break are enormous boulders. One might think random at first, but closer inspection reveals many interesting things. Our curiosity is palpable. “I can’t believe I have ridden my bicycle past these so many times and not paid them any attention” says Valerie Grzeskowiak. 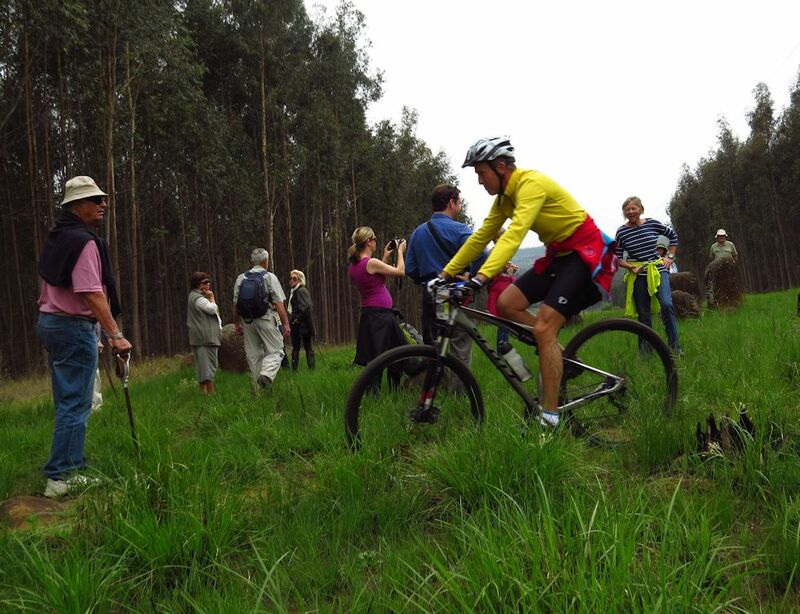 A number of determined cyclists whizz by enjoying the extensive network of MTB trails laid out in the SAPPI plantations. The general consensus is that the stones are Dolerite. A geologist will be visiting soon to give an expert opinion. 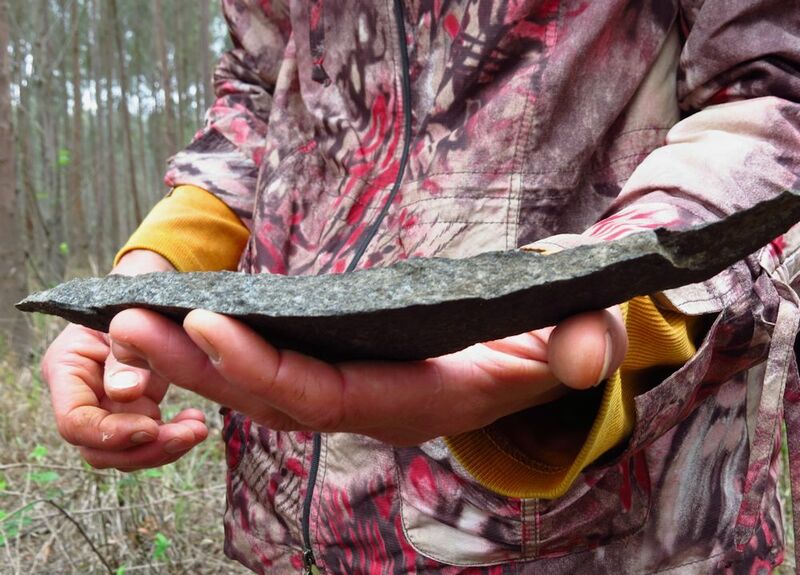 We are fascinated by the shards of rock that have broken off the bigger ones – caused by fires perhaps? Amateur speculation abounds! There are a couple of formations that are particularly interesting. 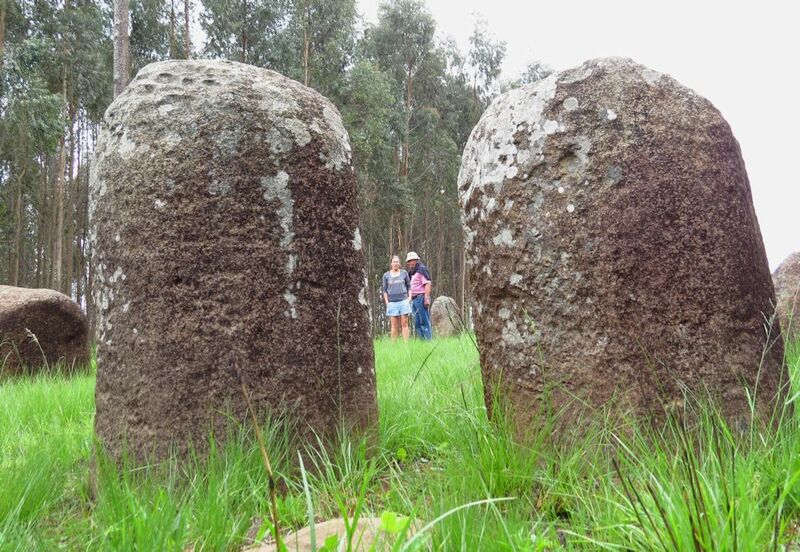 Two stones placed as a ‘gateway’, with a marker stone in the distance – one of these points directly at Loskop. 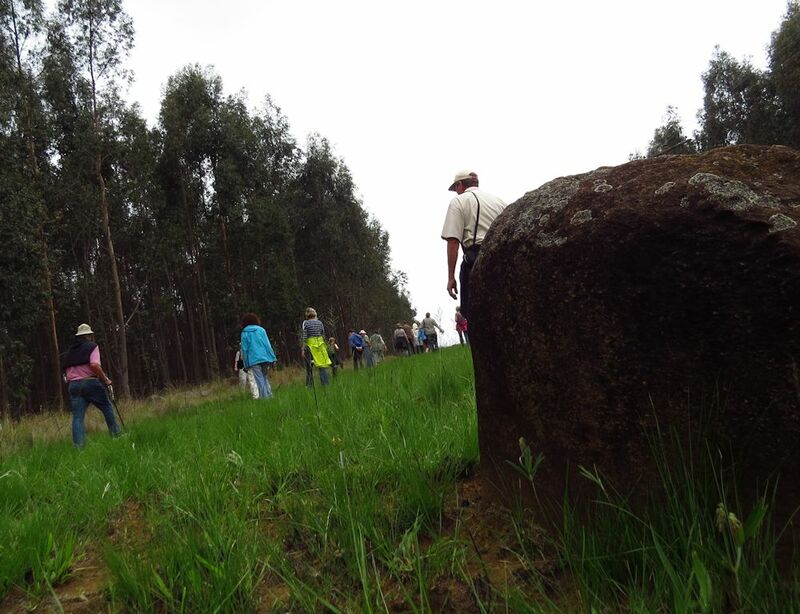 Max believes that the stones are ancient road maps, directing one to other sites of sacred significance. Anita mentions that different stones make different sounds when you hit them. There seem to be three distinct shapes – tall, narrow pointed ones, small square shaped ones and big blocks. 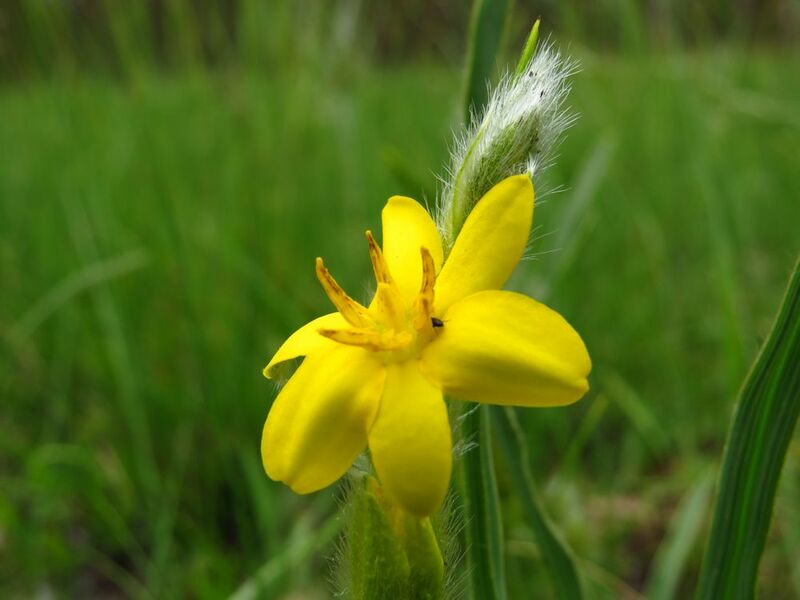 Everyone has a favourite – Twane Clarke, of the Karkloof Conservation Centre, likes the one with Asparagus growing beside it. Someone else notices that the northern sides are pockmarked while the southern sides are smooth. “How deep do you think they are buried underground” Lorraine Stone askes. Naturally there are more questions than answers. 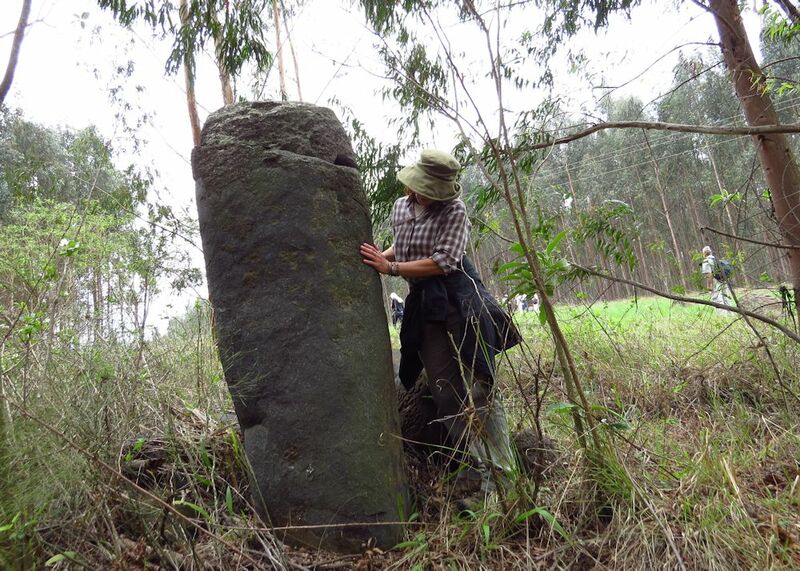 Max has found standing stones scattered across the Midlands, usually on the tops of hills. In Impendle, Dargle, Blinkwater, Nottingham Road and even in Howick he has noted and photographed this phenomenon. 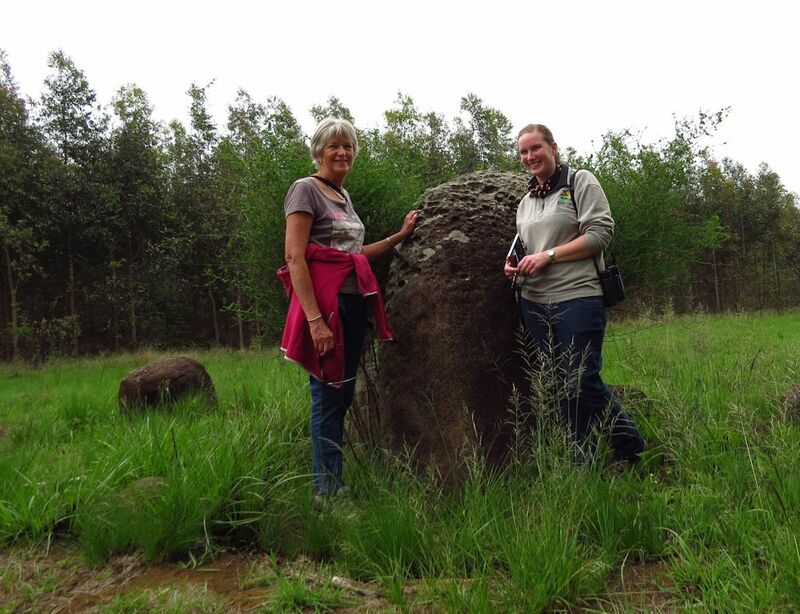 Astrid Bell shows us a photo of a fascinating head shaped stone seen recently in Lesotho. It is likely that if we are observant, we will be amazed at what is around us. 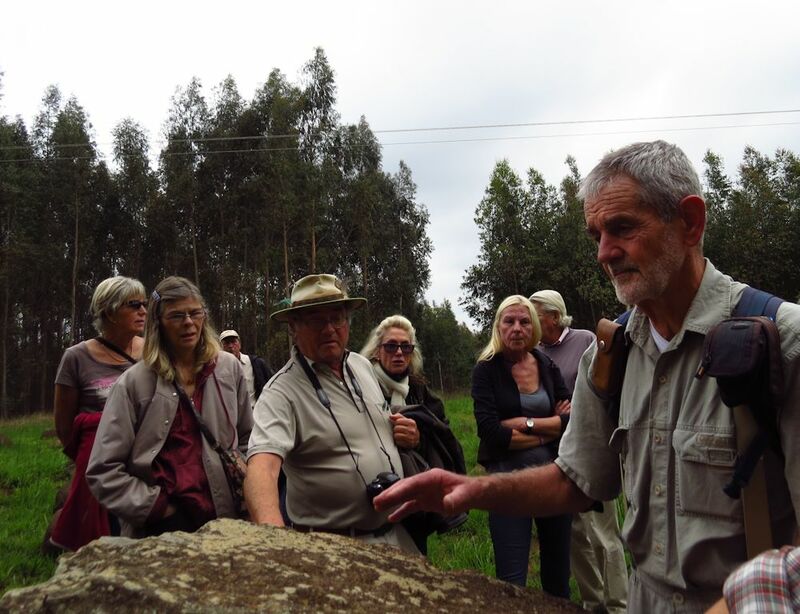 We are fascinated to hear about the Golden Meridian that dissects Africa – the 31degree East meridian that connects the Pyramids, the Great Zimbabwean Ruins and Adam’s Calendar. “All the sites across the globe are connected with straight lines.” Max tells us. We wonder if these stones depict a map of the night sky as others across the planet do? Or are they a calendar to mark the seasons? Max has observed the Winter Solstice sunset falling directly between two stones situated nearby. 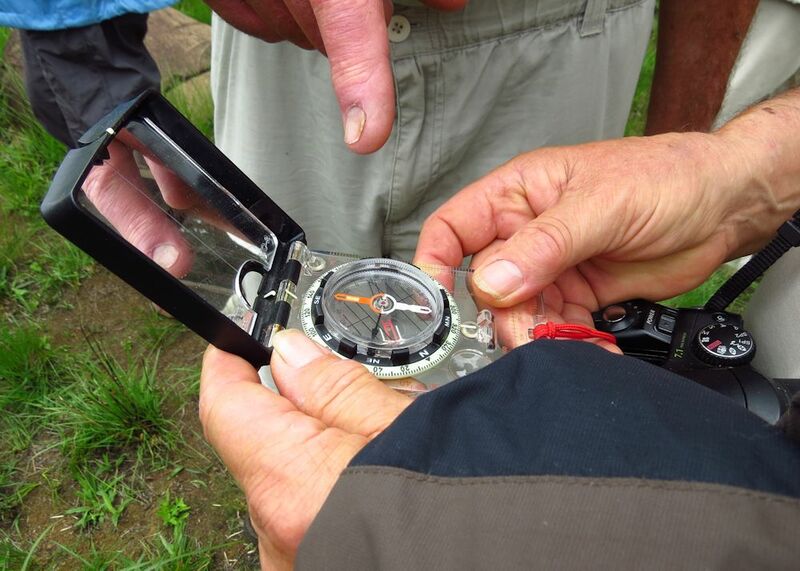 A fascinating walk in an unexpected spot, illustrating that getting out of your car, lacing up your boots and heading across the hillsides you will discover many things that you never expected. Small adventures rock!